Political prisoners in Camp Bagong Diwa, including three organizers of the Confederation for Unity, Recognition and Advancement of Government Employees (COURAGE), expressed their support for Karapatan and other human rights and people’s organizations who remain critical against the anti-people policies and campaigns of the Duterte government. The political detainees have weighed in on the issue of red-tagging, in light of Brig. General Antonio Parlade’s false accusations against Karapatan, IBON, the Rural Missionaries of the Philippines, and other organizations. 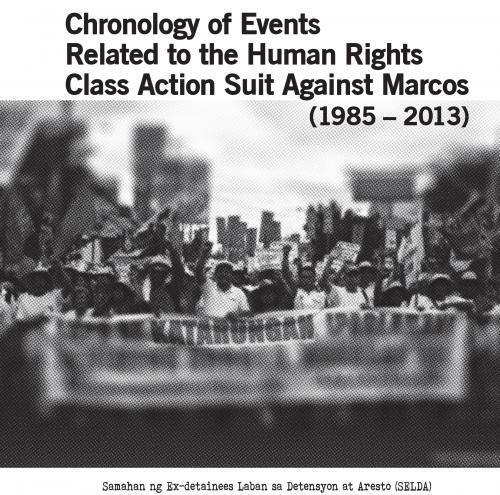 They urged the Filipino public to be wary against attacks on human rights defenders. “Ang atake sa Karapatan ay dapat na ipangamba at kondenahin ng sambayanan. Mali na ipagkibit-balikat na lamang ito at hintayin na may maging kasunod na biktima (The attack against Karapatan is alarming, and it should be condemned. 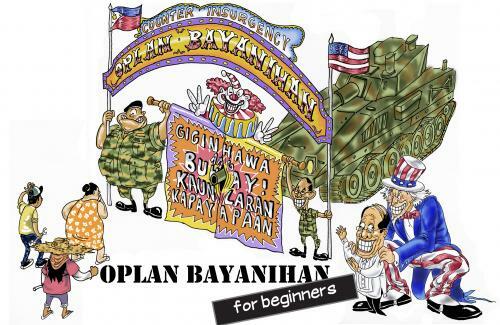 It is wrong to shrug off this issue and wait for the next victim),” they expressed in a statement sent to Karapatan. “Umaani ng mariing batikos sa loob at labas ng bansa si Duterte dahil mismo sa kanyang mga kagagawan, patakaran at mga pahayag. Sino ba ang may gawa ng extrajudicial killings? Sino ang iligal na nagbilanggo sa mga lolo at lola, ama’t ina, kabataan- mga aktibista at mga sibilyang tinaniman ng baril at mga gawa-gawang kaso? Sino ang may pakana ng mga harassment at sistematikong atake sa mga unyonista, makabayang abugado, journalists, mga madre, pari’t obispo at sa mga kalaban sa politika? (There are widespread criticisms against Duterte within and outside the country precisely because of his actions, policies, and statements. Who is responsible for the extrajudicial killings? Who has directed the illegal arrests of the elderly, couples, youth activists and civilians who have been implicated in trumped-up charges through planted evidence? Who is responsible for the harassment and systematic attacks against unionists, human rights lawyers, journalists, nuns, priests and bishops, and the opposition? ),” asked political prisoners, reiterating that the government’s actions and policies will be Duterte’s own undoing. “To make people aware of their rights, and to stand alongside the marginalized as they defend and advance these rights, is a duty of every Filipino citizen. It is also justified to assert due process, to seek protection for children in-conflict with the law, and to support campaigns such as that calling for the release of political prisoners,” the political prisoners further added. “This economic crisis, coupled with political repression and persecution has led to the Duterte government’s isolation. We have known many poor inmates who were jailed in inhumane conditions due to the war on drugs, and that the anti-narcotics drive of the government has resulted to irreparable damage to the lives of Filipinos,” they added. “Kaming mga bilanggong pulitikal ay naniniwalang lehitimo ang mga isyu ng karapatang pantao at dapat na ipagtanggol at ipahayag ang mga ito, sa halip na gawing target ang tumutulong sa mga biktima at nagbibigay boses sa mga masasaklap na reyalidad ng paglabag sa karapatang pantao. (We, political prisoners, believe that these are human rights issues are legitimate concerns that should be exposed and addressed. Human rights defenders helping the victims and survivors, as well as those working to expose the real situation of extensive rights violations on the ground, should not be subjects of attack),” political prisoners concluded.